When we join together, we have more freedom. When everyone is covered and no one is left out, we enhance liberty. Health reform is all about freedom – freedom from the fear that if you get sick, you can’t afford to see a doctor . . . freedom from the fear that a major illness will lead to financial ruin. These are the practical freedoms that really matter to Americans. Most people don't associate Harkin with the Affordable Care Act. Although he took over the Senate Health, Education, Labor, and Pensions (HELP) Committee in September, 2009, until that point he hadn't been a key architect in the way that Ted Kennedy and, later, Chris Dodd were while they led the HELP committee. 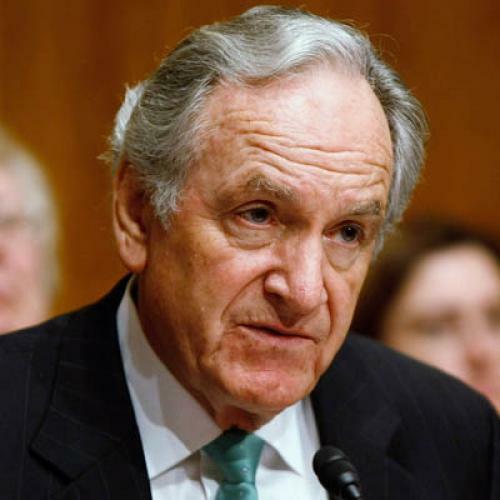 While Harkin's devotion to universal health care has never been in question, he'd never really focused on it, except for an ongoing interest in people with disabilities. I like to think of this bill as like a starter home. It is not the mansion of our dreams. But it has a solid foundation, giving every American access to quality, affordable coverage. It has an excellent, protective roof, which will shelter Americans from the worst abuses of health insurance companies. And this starter home has plenty of room for additions and improvements. As the debate over the Affordable Care Act continues, Harkin will play a key role in managing the Democrats' defense. With the loss of their House majority, the only committee platforms Democrats can use to make their case are in the Senate. Max Baucus runs Finance, the other committee with jurisdiction; and, for all of the grief he caused while helping to write the law, he's been a staunch defender ever since. But he's still not a liberal and, from his perch at Finance, he's unlikely to issue the sorts of subpoenas and hold the kinds of hearings that can help the Democrats make their case on coverage as opposed to cost issues. As a result, that job will fall largely to Harkin. And while his feisty, folksy speaking style could be a big asset, it won't be enough. He has to show the ability to use his committee powers strategically, the way Kennedy famously did. It's not something for which Harkin is particularly known. But perhaps he can change that. *By the way, I also spoke (unpaid) at the Families USA conference. I addressed the "three top threats to the Affordable Care Act." If I can get around to cleaning up my notes, I'll post a version of the speech over the weekend.